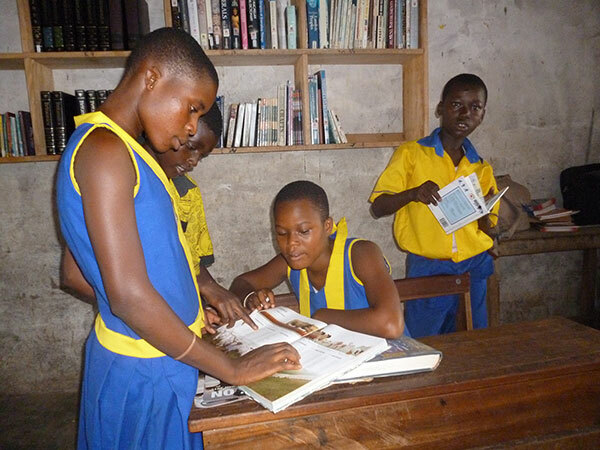 Three schools in a poor area of the capital city of Ghana have a total of over 600 students. These students only had a handful of books for them to read. How can children discover their world, become inquisitive, learn language skills and be competent readers – with no books? When the children beg you, plead with you to give them books, any books, what are you to do? Well, RATA with the help of Mainfreight New Zealand, collected and gathered books from all around our country (13 pallets of them!) and we freighted them over to Ghana. It took over a year, but now those three schools all have libraries, all have access to books and they are so excited. We call this a ‘Ripple of RATA”- just one of those things we have done, because we know it will change those children’s lives and make their schooling so much more meaningful.